Mm-mm. 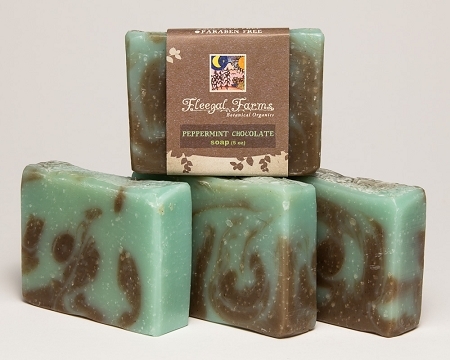 Loaded with cocoa butter, it lends it's chocolaty scent as well as it's moisturizing properties. 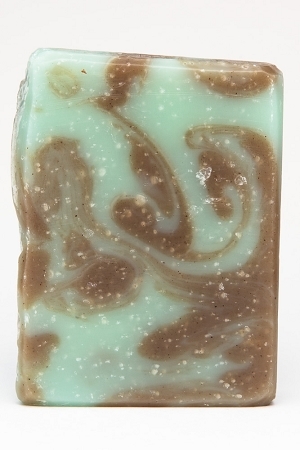 We then blend in peppermint, add french clay to help keep pores clear while the stimulating mint wakes up your senses. INGREDIENTS: filtered rain water, saponified oils of coconut (cocos nucifera), olive (olea europaea), cocoa (theobroma cacao) Seed Butter, peppermint (mentha piperia) essential oil, cocoa (theobroma cacao) powder, and cinnamon (cinnamomum cassia) bark, french green (montmorillonite) clay , and natural mineral pigment (chromium hydroxide green).